"I booked with Camino Ways last February and had lots of questions which were answered promptly each time. I felt from the start that I had a professional support team behind me and followed all their advice given in their preparation brochures etc. The booking process was easy and each transaction went forward smoothly .I made changes to my itinerary to suit the party experience and was not disappointed. From the pick up at Santiago airport to Ferrol each stage was managed by Camino Ways , luggage transfers, hotels , food etc. All we had to do was walk and enjoy the wonderful experience of the Camino, its people , customs and fabulous scenery. It was a test of resilience at times but well worth it. We hardly saw anyone on the way , probably no more than 12 walkers over the six days of walking. The maps etc, were very useful and I bought the book by John Brierley to support our navigation along the well marked route. Only once did we stray off the path and that was because we were so captivated by a church and walked in the wrong direction, a local soon put us right , thankfully only a few hundred metres off the Camino. We had one hitch in Siguierio which was sorted out by the team very promptly. Pilgrim Passports and luggage labels were provided by the team as part of the package. 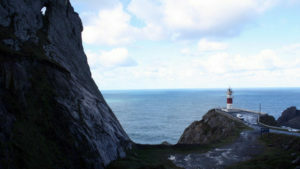 I have nothing but praise for the outstanding team that makes up Camino Ways and will definitely book with them again." The Camino Inglés route of the Camino de Santiago or English Way was traditionally the preferred route for pilgrims coming from the British Isles and Ireland on their way to Santiago de Compostela, hence its name. Early pilgrims would have arrived by boat at the port A Coruña, guided in by the Tower of Hercules – this famous Roman lighthouse, which can still be seen today at the end of the Peninsula sheltering the city from wild Atlantic winds and waves. 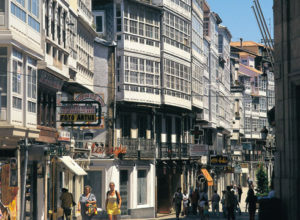 From A Coruña these early pilgrims would have continued on foot from the rugged Galician coastline, passing historic towns before continuing inland across the green countryside and woodlands of rural Galicia on their way to Santiago de Compostela and its famous cathedral. As this route is only 75kms, it can be combined with a 25km pilgrimage in Ireland (such as the Kerry Camino), in order to obtain your Compostela. This is known as the Celtic Camino. You arrive in A Coruña. Following the promenade in O Burgo, your route will continue inland passing over the medieval bridge of A Xira and through the municipality of Cambre. Todays walk passes by several small hamlets such as Sergude and Cañas before arriving in Meson do Vento and the village of Bruma which was the site of a former medieval hospital. The Camino leaves Bruma from the chapel and heads into the lovely green area of Ordes. 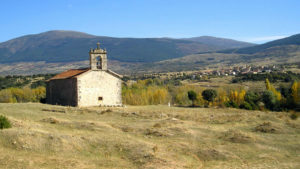 You will then pass the church of San Xiao and the village of Casanova on your way to Sigüeiro. Take time to explore this gem of a city, small and vibrant. 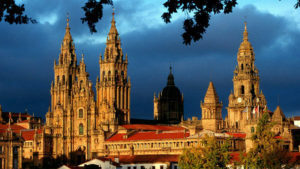 Santiago de Compostela UNESCO listed old town will enchant you. Here you will find not only pilgrims but also locals and students, enjoying a few bites and glasses of wine in the many bars, restaurants and cosy cafes. A Coruña Airport 10km: In A Coruña, there is a bus connecting the airport and the city center (Line 4051, departing every 30 min). See www.autoscalpita.com. Santiago de Compostela Airport 85km: There is a shuttle bus from/to Santiago-Lavacolla airport to Santiago city, departing every 30min. Bus stops are. e.g., the bus station (Estación de Autobuses), the train station (Estación de Ferrocarril) or the city centre (Plaza de Galicia). See www.empresafreire.com. There is an hourly direct train from Santiago to A Coruña taking 30mins. 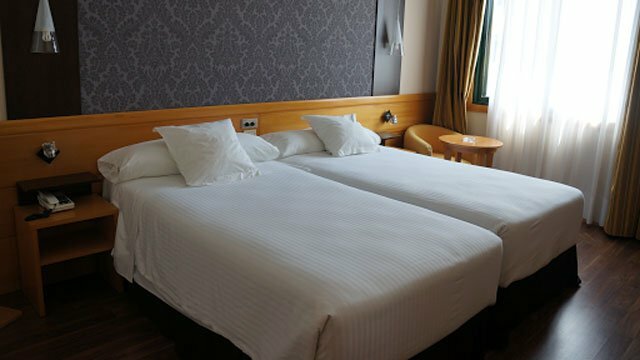 Vigo Airport 160km: From Vigo airport you can take a local bus to Travesia de Vigo (every 30 min) and then take a bus to Ferrol (5 times a day) or a train from nearby Vigo Guixar train station to A Coruña. Approximate travel time is 2H30. For train timetables see www.renfe.com and for bus information see: horarios.monbus.es.